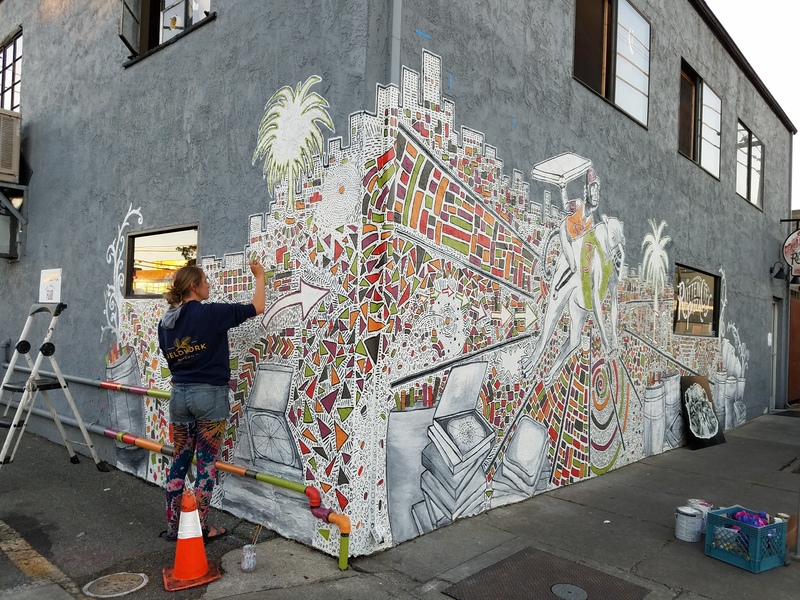 Molly Keen is a Visual Artist specializing in large-scale murals with emphasis on detailed imagery and shifting perspectives. Keen’s most regarded body of work was created while traveling by bicycle, bus, and foot throughout Colombia, Ecuador, Venezuela, Bolivia, Argentina, Chile, Peru, Mexico, Canada and the United States. Keen was raised in Seattle, WA alongside 4 siblings and received her BFA from Washington State University. Her mother, Cindy Keen, was an artist and passed down creative passion and encouragement of art at home. At 18, upon the passing of her mother, Molly became acutely aware of her mother’s influence in her artwork and chose her artist name, Molly Keen, in her honor.